BMI (British Midland Airways Ltd) was established officially in 1949 as Derby Aviation Limited (later changed its name to British Midland Airways (BMA) in 1965 and then to BMI in 1985) with main hub located at London Heathrow Airport and Manchester Airport with main headquarters address at Castle Donington, England, United Kingdom. BMI which is owned by parent company, British Midland PLC operates flight destinations to over 51 cities in Europe, the United States, the Caribbean, the Middle East, Africa and Central Asia. BMI is a Star Alliance member. 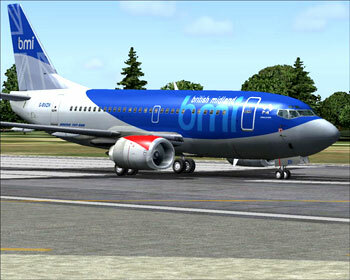 BMI Regional is a subsidiary airline carrier based in Aberdeen, Scotland. The airline operates mainly domestic flight services within the UK and its main base is located at Aberdeen Airport, Scotland. Bmibaby is another subsidiary airline carrier which operates as a low cost airline. Bmibaby covers airline routes between secondary airports throughout Europe and thus it does not actually operate feom Heathrow Airport, London. Aloha Airlines flies to the following cities. BMI Flights To Airports Worldwide.